Your smile is one of your best assets. Dr. Arun Narang & Associates knows this, and we are dedicated to helping you keep it that way. We offer a full suite of dental services and treatments that aim to correct a wide range of dental issues and problems. You can come to our practice, and find a team of professionals who are committed to putting a bright smile on your face, every day. We take pride in going the ‘extra-mile’ to ensure that every patient receives the finest care. As your family’s needs grow and change, we will be there for you to recommend and provide the best care available. We want all our patients to be completely free of dental disease because prevention is easier, more pleasant and less expensive than treatment. In preventive dentistry, teeth and gums are important, but so are the people to whom they belong. We want to work with you to help you achieve and maintain your best possible dental health. Our principal cosmetic dentist, Dr. Arun Narang, and our dental surgeon and periodontist have all undergone extensive training in their respective fields. This assures you of high-quality dental solutions that will satisfactorily address your specific dental problem. Our team also makes sure that you are properly educated about the things you need to do to prevent the recurrence of dental problems, as well as ensure protection against future issues. Our dental hygienists will help you enjoy optimal dental health through excellently-delivered treatments that can help prevent the occurrence of oral diseases. They also offer encouraging advice so that you will know what to do to keep your smile healthy for a long time. 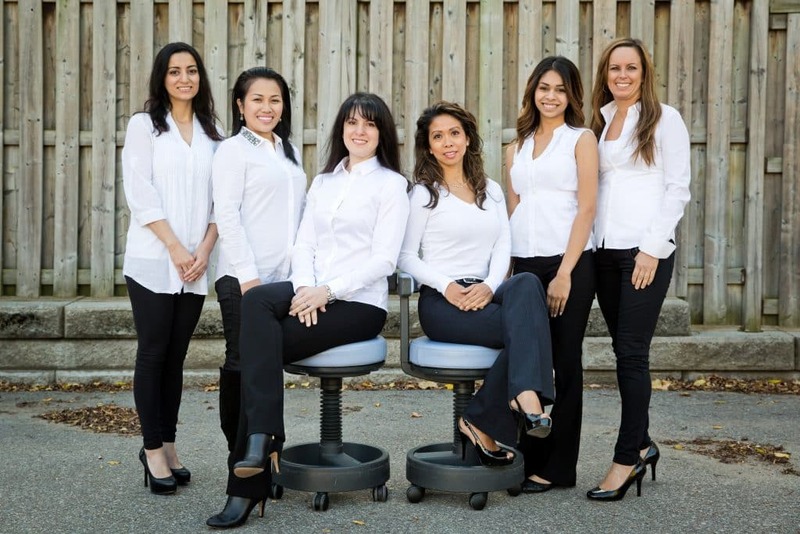 We have a team of highly trained chairside dental assistants with the skills and expertise necessary to make your visit as comfortable as possible. We follow stringent sterilization protocols to give you the peace of mind that you’re looking for. We also pride ourselves in having an administrative team that takes care of everything that you need. When you make an appointment with our dentists, you can look forward to receiving excellent customer service. Contact Smile By Design at 905-897-1166 or LimeLight Dental at 905-949-2220 if you have any questions or concerns you want us to address. For more information on our locations in Mississauga, ON, check out our about page.